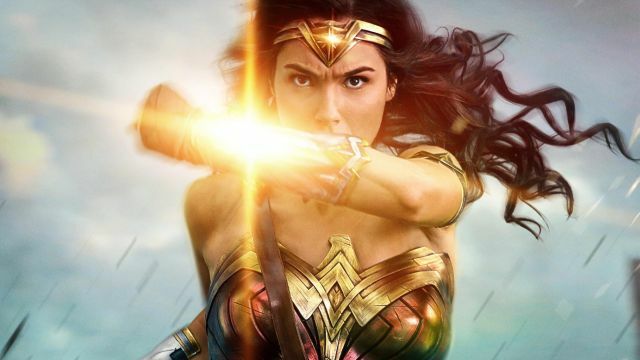 The New Wonder Woman Trailer Released by Warner Bros.
Warner Bros. Pictures and DC Entertainment debuted the new Wonder Woman trailer at the MTV Movie & TV Awards and you can now watch it using the player below! Wonder Woman stars Gal Gadot (Batman v Superman: Dawn of Justice), Chris Pine (Star Trek), Robin Wright (The Girl with the Dragon Tattoo, Netflix‘s House of Cards), Danny Huston (Clash of the Titans, X-Men Origins: Wolverine), Ewen Bremner (Exodus: Gods and Kings, Snowpiercer), Saïd Taghmaoui (American Hustle), Elena Anaya (The Skin I Live In), Connie Nielsen (Gladiator, Nymphomaniac: Vol. I) and Lucy Davis (Shaun of the Dead). Wonder Woman opens in theaters on June 2, 2017. It will be followed in 2017 on November 17 with the highly-anticipated Justice League movie.